Here we have tried to discover the most characteristic places in what we consider to be the traditional part of Benimaclet, the village of Benimaclet, the place where it all began, when the founder Maclet, according to the legend, settled in his alquería (farm) on this fertile land. To that end we start out from the Benimaclet Square itself, from the church, IGLESIA DE LA ASUNCIÓN. By its side, behind the fountain, we find one of the best known leisure places, the GLOP, on the ground floor of a building used now for housing, but that according to some was the Town Hall of the village of Benimaclet centuries ago. 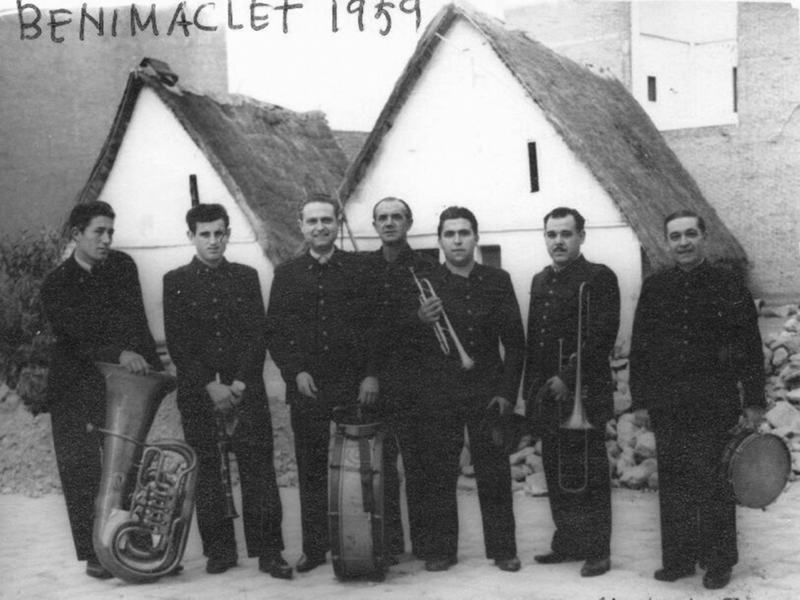 To the right of it, in Benicolet Street, we can remember the coal shop, LA CARBONERIA, that used to be situated there, and we may add that the street used to be called “de Micha galla”. This is where the market of the square used to be, MERCADO de la PLAZA. 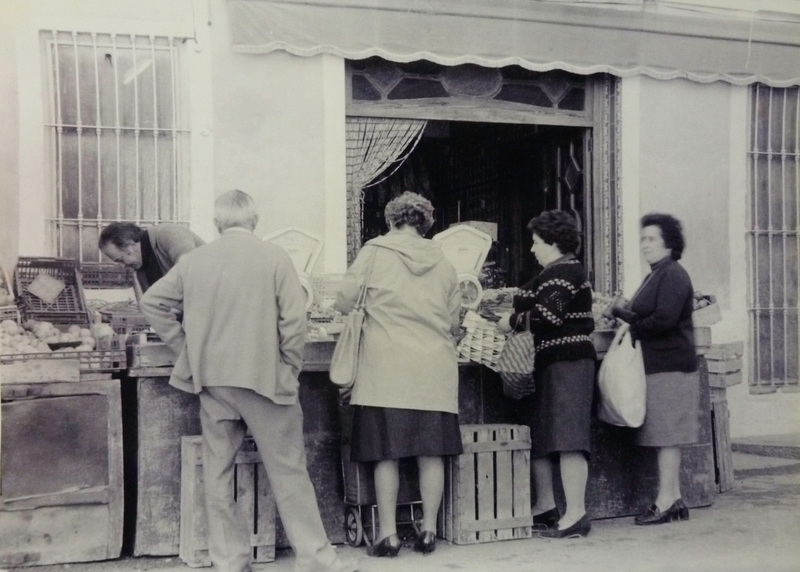 Today the “little market”, the mercadillo, which rotates through the city and comes to Benimaclet on Fridays, has replaced it. Still on the square, but looking towards Murta Street, we find on our right the social service centre, CENTRO DE SERVICIOS SOCIALES, built in 1999, on the site of the old market building that was never used. 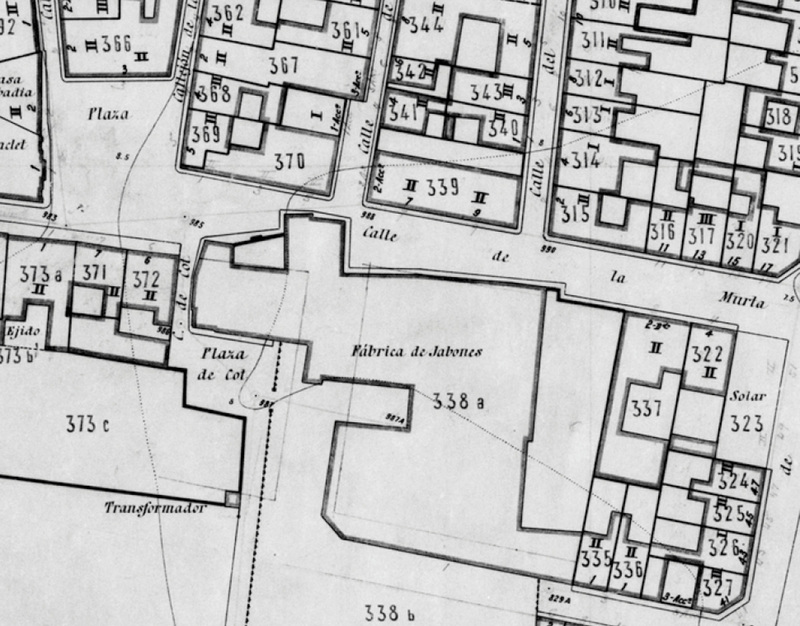 We may note that it was right here that the old soap factory, LA JABONERIA, was located. Its grand dimensions closed off the square, creating a narrow street that can be seen today as a dead end alley between the centre and the next-door buildings. If we continue a bit further, we will find Santos Street to our left. This is where the summer cinema, CINE DE VERANO, used to be, in the spot where today we find the popular meeting place LLAR CULTURAL DE BENIMACLET. 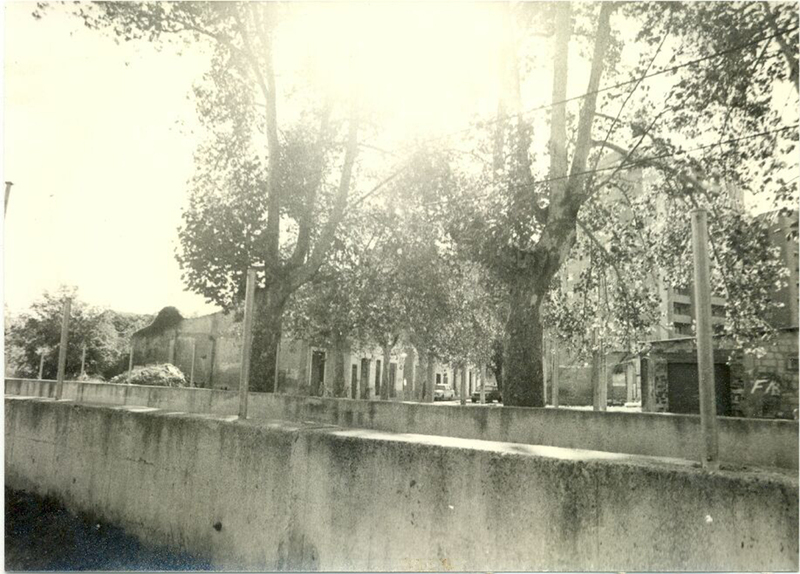 Returning to Murta Street and walking towards the sea, you will find the plaque of the soap factory, LA JABONERIA. The use it made of caustic soda continues to pose problems for the buildings that stand on one part of the space it used to occupy. A bit further on, at the corner of Mistral Street, stands one of the most representative buildings of the neighbourhood, CASAS DE TRENCADÍS. It is famous because of its special ceramic façade; in honour of Gaudí, as well as the fact that Almodóvar shot some scenes of his film “La mala educación” (“Bad Education”) here. 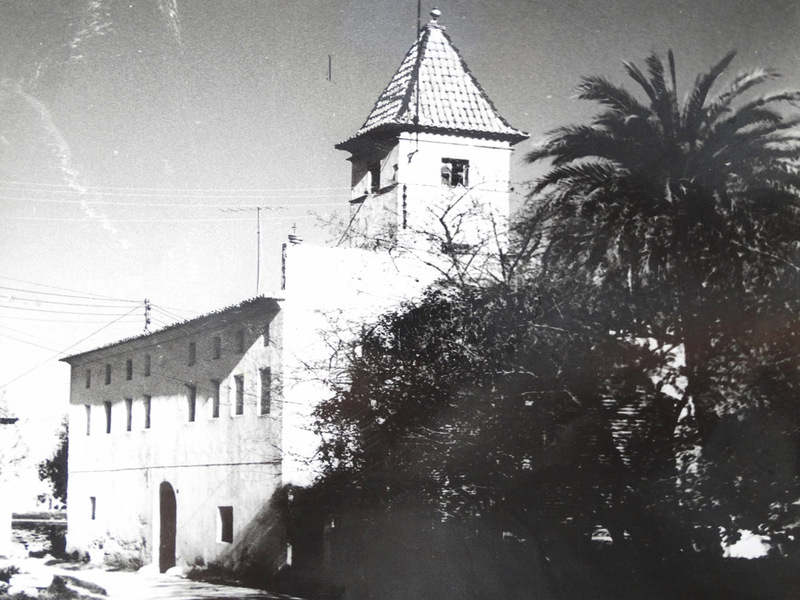 We turn right on Mistral Street and come to the corner of Enrique Navarro Street, where we find the water tower, DEPÓSITO DE AGUA, which served a group of one family houses with small gardens in front of them and that we can still see a few metres further on and also in Hermanos Villalonga Street. They were built for railway workers of that time. 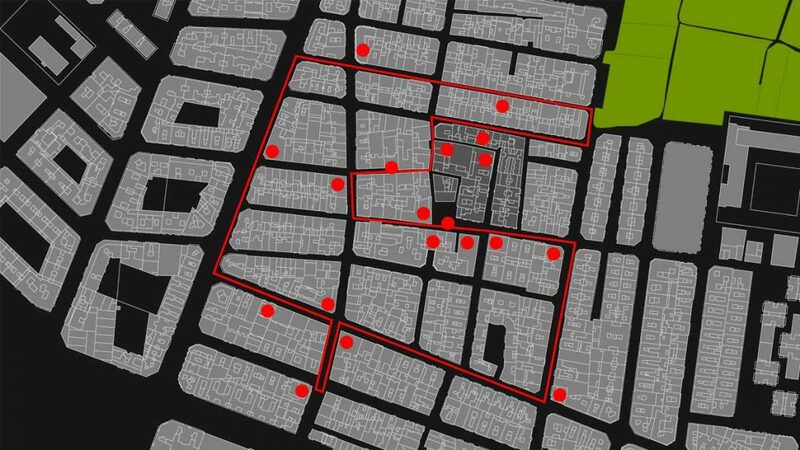 We now walk west along Enrique Navarro Street, one of the most commercial and populated streets of the neighbourhood, until we reach the intersection with Barón de San Petrillo Street. 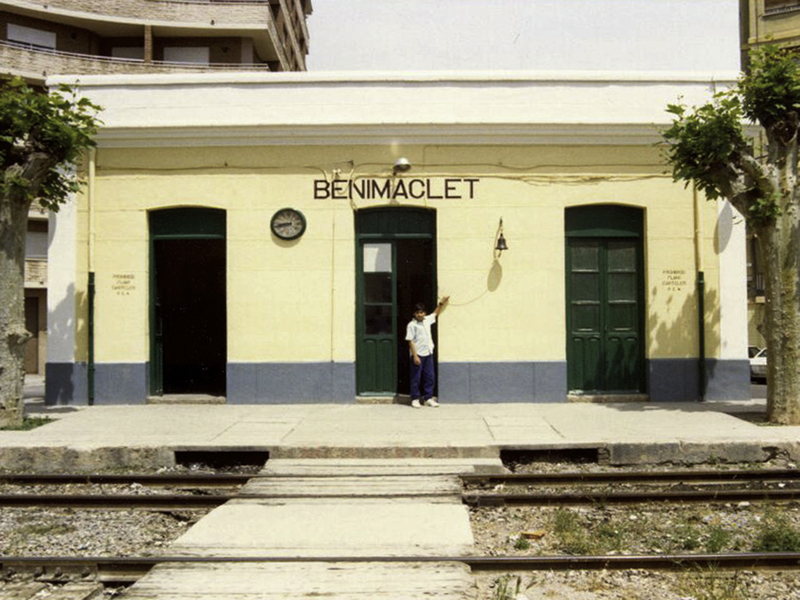 This has been the principal artery of Benimaclet throughout history, since it was the original connection with the city of Valencia. At this intersection we can see the music school, CENTRO INSTRUCTIVO MUSICAL, recently renovated. It is a meeting place and a place for musical and cultural activities with deep roots in the neighbourhood, and it is still very active, enlivened now by new contents. 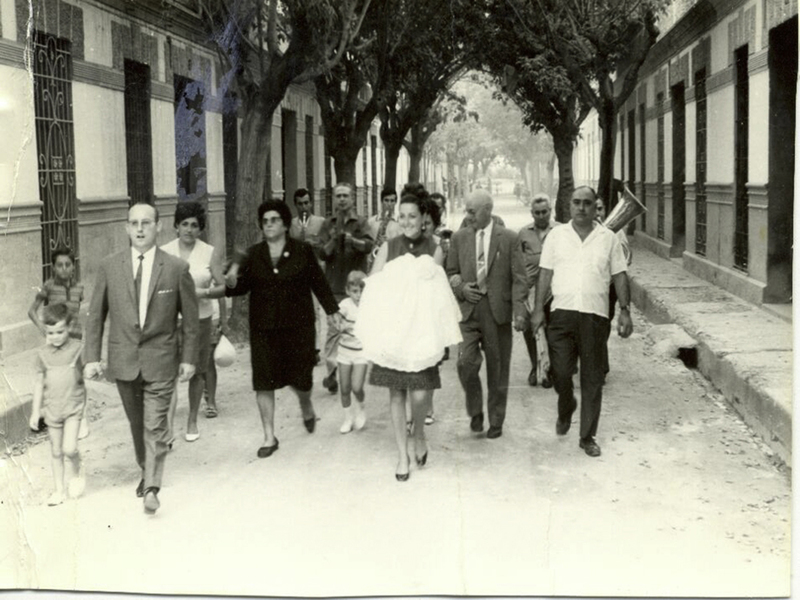 We walk on towards the tram tracks and come to where the BARRACAS DE TRAMOYERES used to stand at the corner of Reverendo Rafael Tramoyeres Street. They no longer exist. Then we turn back to the previous intersection, where the Parish Foundation, PATRONATO PARROQUIAL, used to be. It has also disappeared, but it used to be a place of various activities. We walk west along Leonor Jovani Street and pass the spot of the long lost CINE IDEAL, that was later used as a discotheque in the now distant 1980´s. Just behind this cinema, in the Reverendo Rafael Tramoyeres Street, there was another cinema in the 1970s, the CINE MAVIS. 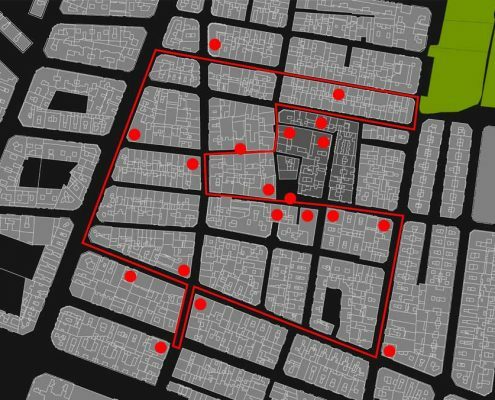 Now we come to Emilio Baró Street, turn right and continue along this important commercial and traffic artery until we reach the place of the cooperative, LA COOPERATIVA. This building still functions as such. We continue in the direction of Alboraya and turn right on Músico Belando Street until we cross Barón de San Petrillo again. The girls school, ESCUELA DE CARMEN CRESPO, used to be here. It was a place where neighbourhood girls received their elementary knowledge. Walking along this street, we go back to the oldest part of the neighbourhood, its original streets that are today partially pedestrianized. 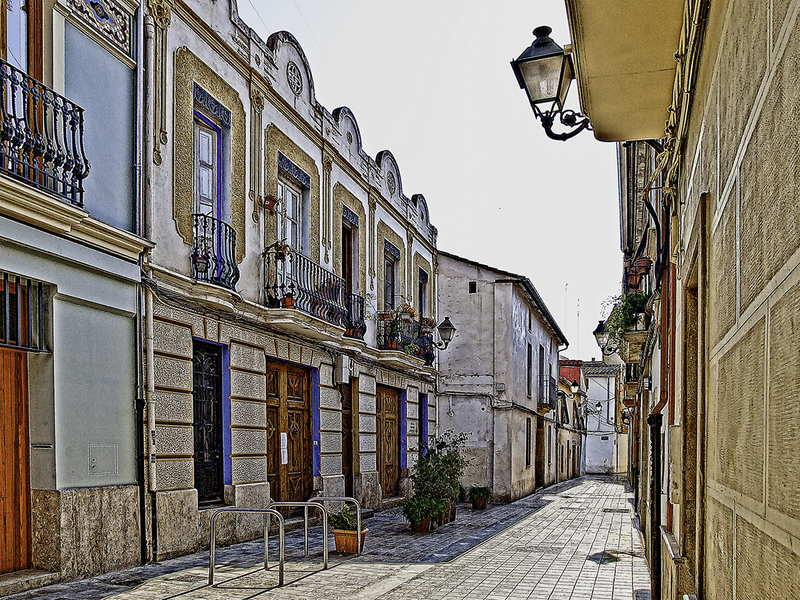 Here one can enjoy the typical fragrances and atmosphere of the most authentic Benimaclet, a neighbourhood that smells of burning wood, narrow streets and beautiful village houses, many of them restored. Many have also been modernized or replaced, using criteria of maximum respect for the historical area. The next two examples give proof of that: In La Rambla Street we find an example of a recent building, the CASA AYM, an one family house, connected to an architectural study that includes a cultural space next door, the MULTI CULTURAL PROJECT ARQUITECTURA. Walking along this street, arriving at the monumental palm tree with 12 branches, we turn right into Alegret Street to see another interesting replacement: The COWORKING ACONTRAPEU is a new building that functions as a study of architecture and co-working. At this point, we take the narrow Cristo de la Providencia street and pass the day-care centre, GUARDERIA AISO, the name of which today is ESCOLA BRESSOL. It is a cooperative school with a strong social purpose. Back in Barón de San Petrillo Street we come upon one of the most significant spots of the neighbourhood, the house known as CASA DE PEPA NICOLAU, where this artist lives and where famous Valencian cultural personalities of about a century ago liked to get together, among them Blasco Ibáñez, Joaquín Sorolla and Mariano Benlliure. The owner likes to tell how even today their comments seem to echo inside. To finish our walk, we return along Barón de San Petrillo and turn into Nuestra Sra. de la Asunción Street to come back to the square and the Chocolate-Makers shop, TIENDA DE LA CHOCOLATERA. This shop is very famous in the neighbourhood and it has a special history. The Poet Carles Salvador lived there for a few years while working in Benimaclet. So this is where we end this interesting route along the oldest streets of neighbourhood. We have discovered places that no longer exist, places that have been preserved and recently created places that show how the neighbourhood lives on, in constant development. Download this route in pdf format aquí.